The 2016 Community Awards, which recognise the efforts of grassroots football's unsung heroes, are now open for nominations across the UK. The awards, presented by McDonald’s in partnership with the four home nation football associations, recognise the volunteers that dedicate countless hours to grassroots football right across the country. 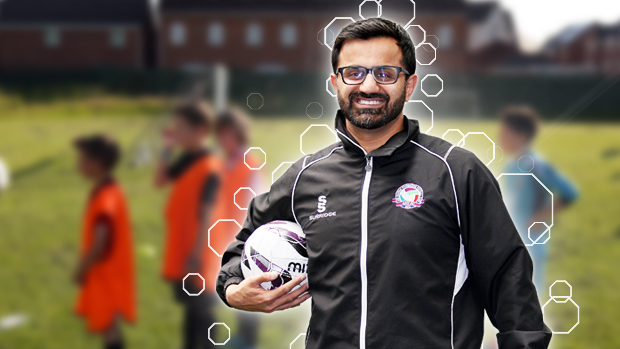 Everyone involved in grassroots football is being urged to nominate their own local unsung heroes - the people who go the extra mile to keep the game going at grassroots level and ensure players can continue to play the beautiful game. It doesn't matter if that person coaches the team, washes the kit, paints the lines or makes the half-time cups of tea; everyone is eligible for an award. “The McDonald’s Community Awards are a fantastic initiative and it is only right that all of these grassroots volunteers get the recognition that they deserve," said former Arsenal and England defender Martin Keown, now McDonald’s Head of English Football. The awards -which take place in England, Scotland, Wales and Northern Ireland - have seven categories including Volunteer of the Year, Club of the Year and the coveted People’s Award, which is voted for by the public and celebrates an individual’s outstanding contribution to grassroots football. Nominations for 2016 Community Awards, presented by McDonald’s, are now open. To nominate a grassroots football club or volunteer go to mcdonalds.co.uk/awards.